The ADEX-RS system is a water-managed exterior insulation and finish system (EIFS) that sets the standard for exterior wall claddings and their ability to protect buildings, increase the comfort level of their occupants, and provide an unrivaled variety of finishing options. 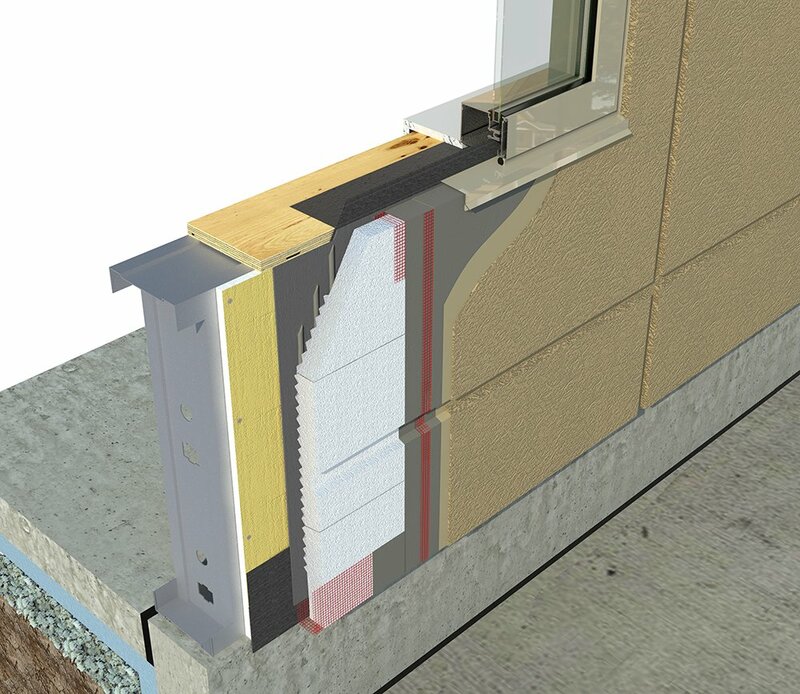 The ADEX-RS system incorporates a secondary liquid applied weather resistive barrier (LA-WRB) and a geometrically designed insulation board (EPS-GD) with a built-in 10mm drainage plane. Favourably evaluated by CCMC (12913-R). ADEX EPS-GD insulation provides a uniform blanket of continuous insulation (CI); reduces energy use. 10mm drainage cavity ensures evacuation of incidental moisture. The liquid applied weather resistive barrier (LA-WRB) provides seamless protection of the building envelope against air and moisture infiltration. The system is in full compliance with CAN/ULC-S716 “Exterior Insulation and Finish Systems (EIFS) ”. CAN/ULC-S101: Fire Endurance Tests of Building Construction and Materials. Continuous insulation; reduces energy use. Allows for the drainage of incidental moisture. Non-combustible rated as per the National Building Code.